Encyclopedia of Ancient Rome, Third Edition provides comprehensive and interdisciplinary coverage of the people, places, events, and ideas of ancient Rome. Each entry has been thoroughly reviewed and updated to fully reflect recent advances in archaeology, historical and literary criticism, and social analysis. In addition, the scope has been expanded to include the entire history of ancient Rome, from the first founding of the city through the legendary hero Aeneas and his descendants Romulus and Remus around 753 BCE to the final collapse of Roman power in the fifth century CE. All of the entries in this updated resource now reflect not only the imperial era, but also the entire course of Roman history. 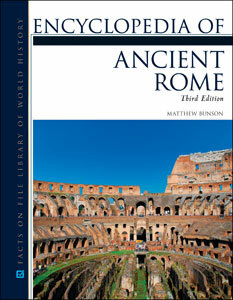 New front and back matter items have been added to this fascinating resource, including an appendix on the study of ancient Rome, a glossary, a historical overview section, and a geographical overview section.